Lisson Gallery opens its relationship of representation with artist Susan Hiller, engaging both the Bell Street galleries in an overview of her 40 years of artistic practice. With outstanding richness and complexity, the show brings new light on Hiller’s early pieces of works, through her most iconic artworks, all the way to recent pieces. Throughout her practice, Susan Hiller leads a rigorous enquiry of the tension between conventional systems of knowledge and phenomena of the unconscious and supernatural. Her multimedia practice adopts modes of collecting, archiving and analytic strategies, challenging, by their very own means, the extent to which rationalistic approaches can pin down meaning and to which they prove limited. Shifting between ideas of the unconscious, auratic, automatism, occult, supernatural and visionary, the works on show emanate the existence of an ungraspable, phantom-like presence slipping beneath the rational laws by which the world is conventionally acknowledged. At various points, Hiller invites visitors to think of this mysterious dimension as the further layer which makes reality and knowledge most fascinating. Don’t you feel the dreadful tedium of such an assertion? Surveying different cultural manifestations of supernatural powers attributed to children, the video installation collates fantastic episodes from horror films, while, on a different register, extracts from documentaries account for authenticated religious visions. The motif of ghostly presences continues in Hiller’s photographic works, among which 1972-73 Photomat Series – uncanny forerunner of today selfies frenzy. In a photo booth, the artists plays with the image of her self, presence and absence, and intervenes with coloured pens on the prints. 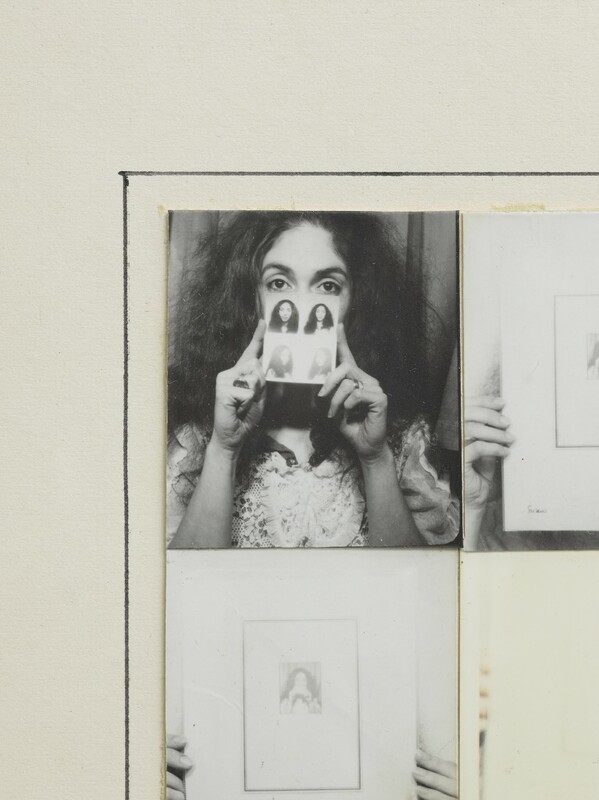 She reaches to show that unconscious and dreamy dimension which, although integral to self identity, photomat portraits – even used as official proofs of identity – inevitably fail to capture. Belshazzar’s Feast (1983) and Resounding (Infrared) (2013) report from newspapers and other believed objective sources the witnesses of people who experienced unexplained and paranormal phenomena. The two works investigate the relationship between real and imagined events. Both operate through the juxtaposition of narrating voices and video images of blazing flames, in the first case, and of waves and frequencies, in the second. The amorphous and flickering images offer a token to the viewers’ inclination to indentify shapes in them, functioning as a platform to creative imagination made further susceptible by oral stories of mysterious apparitions. 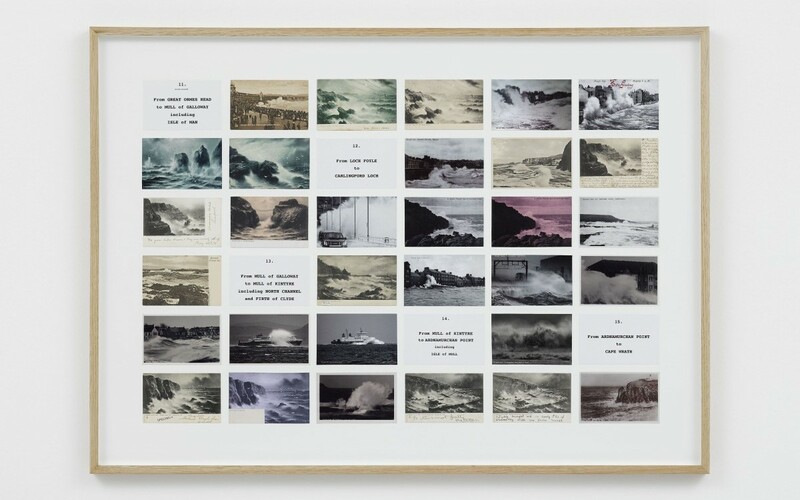 Finally, central to the exhibition is Hiller’s practice of collecting postcards of rough sea coastal landscapes, undertaken since the 70’s and presented at Lisson through recent works On the Edge and Rough Dawns (2015). Methodically arranging the postcards in grids, the artist visually and linguistically analyses the information they contain: location, caption, format… However, the sense of mystery emanating from these images eludes the quantitative analysis: in the infinite repetition and variation of the motif, a notion of sublime slips through the rigour of the archive. The vain attempt at quantifying it, becomes proof of the space for the unconscious and the potential for reverie which permeate systems of classification and knowledge, as well as ordinary things and experiences. 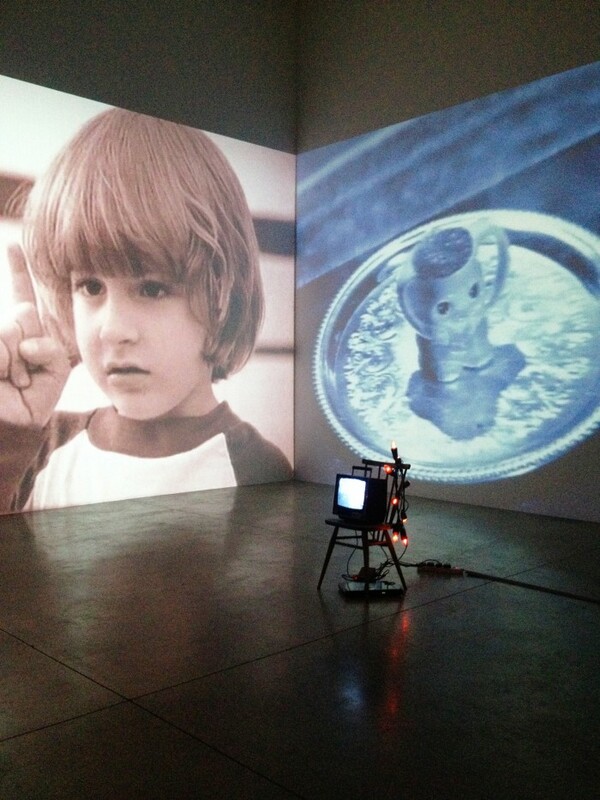 The exhibition ‘Susan Hiller’ is open through 9 January 2016, at Lisson Gallery, 27 and 52 Bell Street, London NW1 5DA.